Every person I meet seems to find the idea of having their portrait taken (mildly) terrifying! With that in mind, my priority is to make you feel relaxed and confident so that you can come away with a headshot that reflects the best side of you, your job and your business. Events are a big part of many businesses these days, and whether you’re organising a small private view reception or an all day conference, I have years of experience which will ensure that I capture the flavour of your event. My packages include documentary photography of the day and also the option to receive a selection of images the same day for those all important social media channels. The photo you use on your Linkedin profile or company website can either show you in the best or worst light. The latest camera phones are brilliant (I use mine everyday!) but hiring a professional photographer will set your profile apart and ensure you get a professional, confident image you can be proud of. I have been running my photographic business for the last six years now which has given me amazing opportunities to work throughout London and the rest of the UK. I have photographed so many different type of events, but to name a few, I offer coverage for: birthday parties, PR events, award ceremonies and corporate conferences. The breadth of my experience means that I am able to work to any brief and pride myself on delivering exactly what you need. I always work discreetly but will make sure every base is covered so you and your colleagues will have photographs that will be a great source for your marketing materials, as well as being a record of your events. I offer two options for receiving images: you can either get a zip folder with your High Res files via FTP; or you can receive a link to a private online gallery that you can share with your colleagues and clients. Every event job is delivered quickly and without any fuss. I can be booked for as little as two hours or for a full day depending of what needs to be covered. All the pictures will be edited and colour corrected so they will be ready to be unleashed onto the world wide web. Need me to travel? Not a problem! I am always keen to work in new venues or places and I don’t charge for travel in London. Outside of the capital I will charge a modest fee to cover my travel expenses. When I am not photographing events I can be commissioned to take either business portraits or corporate headshots and this can be done in a studio setup or with your office environment as a backdrop. Once we have spoken via email about what style of portrait is required, I would travel to you and set up all my equipment ready for the shoot. Working as a corporate and event photographer in the city of London, James mostly shoots on location so he would travel to wherever your office is situated or where your event location is. 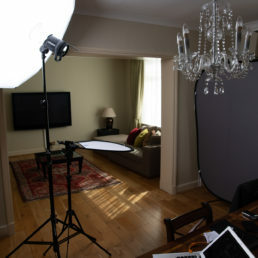 He works to a single business headshot, half day or full day rates, but the longer the photography session, the more cost effective it becomes. James has a portable studio that he can set up within your meeting room or in a general space on your office floor. There is no extra charge for any travel expenses for London photography shoots.